Browcraft is a carefully made WordPress theme perfectly suitable for eyelash extension, eyebrow design, microblading and permanent makeup services that are really popular ones in the modern beauty industry. We’ve made our best to create a very posh template which will comply with its main purpose – to promote a business of making women look posh, beautiful and natural. No spare elements and no clattering! 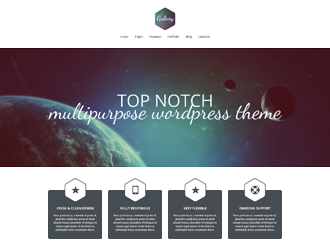 The theme boasts extremely simple navigation which allows to easily find any section of your website. Your visitors will open and close the main menu items using hamburger menu, so they will be able to explore any required content to learn the information they are looking for in minutes. Browcraft includes the pre-made page layouts like Services (with a single service page template), Gallery (with grid, masonry and packery variants), blog (with fullwidth, right and left sidebar versions), About Us, Appointments, and other pages. Thanks to Appointment Booking System, your potential and loyal clients will be able to book an appointment right on your website and in real time mode. Thanks to the integrated WPBakery page builder with a bunch of miscellaneous modules, anyone can edit the content and pages’ structure using an easy drag-and-drop interface and without any coding knowledge. 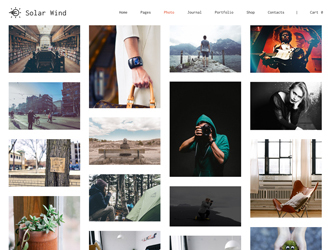 Check out more of the theme’s features and try it out!